Covert video surveillance and covert digital video solutions provide a powerful evidentiary tool when you need it most: when a recurring problem exists that cannot otherwise be diagnosed and documented. Virtually all companies, large and small, public and private are troubled by security problems of some kind. Many of these problems are extremely costly. Sustaining and ignoring these losses can eventually destroy your company or institution. Toepfer Security can provide both permanent and temporary systems for corporate America, professional investigators and law enforcement agencies. Toepfer Security Corporations covert specialists are able to analyze environmental conditions and develop creative ways to install equipment, to provide maximum video coverage and virtual invisibility. For the most part, our installations utilize the existing building design without the installations of props or other devices. 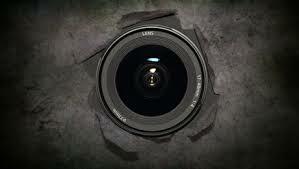 In addition, we are able to provide unique and creative covert camera installations for our long list of clients. If your needs are temporary in nature, we offer short-term leases for equipment, including installation, monitoring (if desired) and decommissioning once the investigation is complete. If your needs are long-term or even permanent in nature, we offer our innovative solutions for sale.